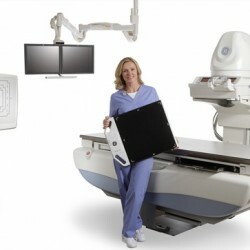 Our digital X-ray machine is the gold standard in imaging. At Pleasanton Diagnostic Imaging, we perform digital X-ray imaging, which is the gold standard of today’s medical imaging practices. However, certain X-ray exams, including intravenous pyelogram (IVP) and fluoroscopy exams do require an appointment and special preparation. Please call 925-467-1400 to make an appointment for any specialty X-ray exams. Get more information about preparing for your visit to PDI.